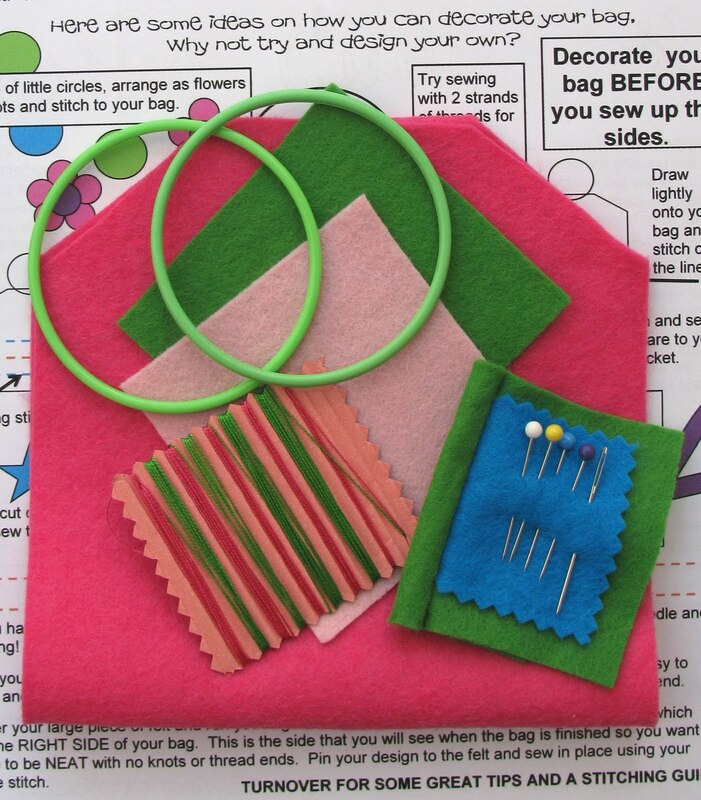 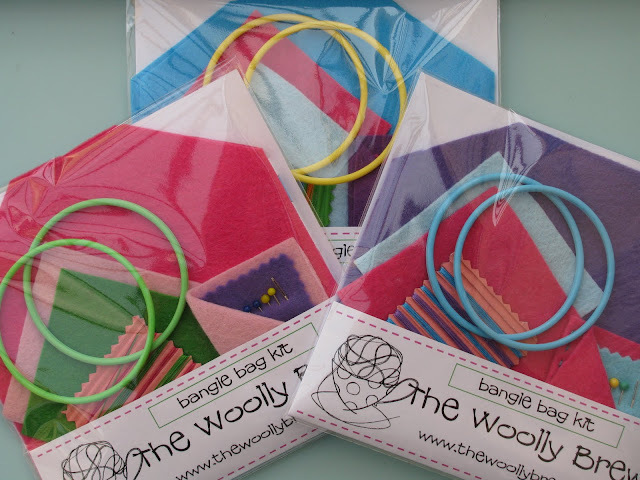 Our new felt kit contains all you need to make a felt bag with bangle handles. 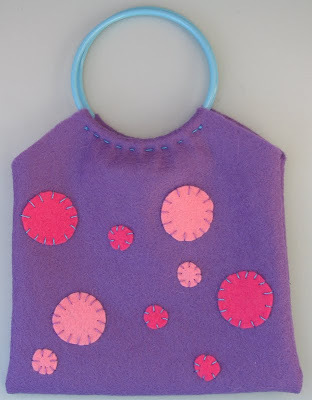 It is ideal for a young sewer to design and stitch their own bag. 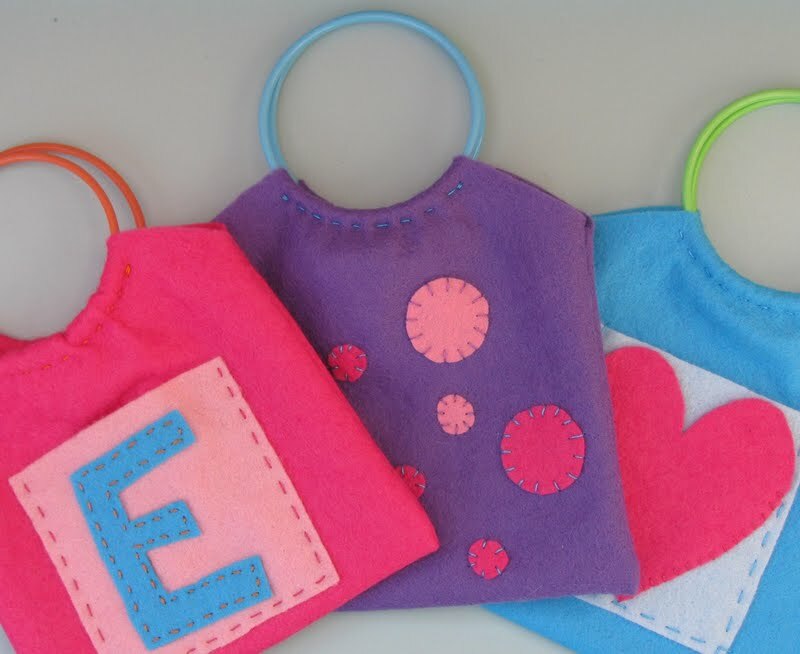 Or for a grown up to stitch and gift to a little girl! 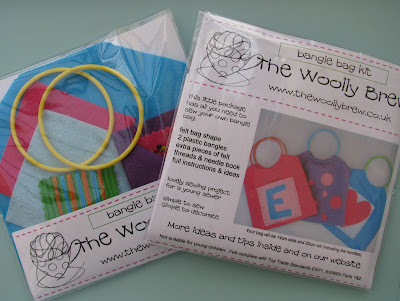 In a choice of 3 bright colours with different contrasting bangles, felt and threads in each pack, you can create a unique bag with a few simple stitches. All this for £8 - a great introduction to sewing and ideal to share with a young sewer.